Did you know that by the time we are 8 years old we have formed 95% of our beliefs about life and love because of what we experienced in childhood? It is true! Did you know that by the time we are 8 years old we have formed 95% of our beliefs about life and love because of what we experienced in childhood? Did you know that those experiences are so deeply ingrained that we often have difficulty accessing them because we experienced them on an emotional level? My readings are always original, never computer generated! NATAL/CHILDHOOD READING: Though we are constantly evolving, the natal reading will reiterate all the lessons that you are here to resolve so that your true personality can reach its full potential. Therapy is great but it can take years for you to figure out what you experienced and how it impacted you before getting the insight you need. My Natal/Childhood Reading is one session, and you don’t need to tell me anything about your past. Because I can see it, I can explain how it has affected your thinking and behavior patterns and give you the advice and tools you need to release the past and to heal so that you can let go, move on and create a more satisfying life. For Phone/Skype Readings or for those preferring to pay with a credit/debit card please prepay using the payment button provided under each Reading or Service. You may use PAYPAL or click on PAY WITH A CREDIT CARD; you do not need a PAYPAL account to use my site and it is safe and secure. The shipping and handling fee covers two costs: the credit card fee (charged to all merchants for credit/debit card uses) and emailing the recording of your reading on an mp3 file. I would definitely recommend a reading with Lydia." "My meeting with Lydia was an enlightening one. Since then many thoughts have added to my awareness as a result of the information she gave me. I feel better prepared to take positive action with my life and also, to improve my relationships with each of my parents. What a complicated organism the family is! The reading enhanced my understanding of myself and the family dynamics in one session! Thanks again". "Lydia's Natal/Childhood Reading was so insightful in helping me to see my patterns in relationships more clearly, to understand their roots, and provided the guidance to shift into healthier ways. It also helped me understand confusing relationships more clearly." feeling empowered and unable to get what you want out of life. Plan for at least a 2 and 1/2 hour Reading. Rebecca T, London, England regarding the Natal/Past Life Lessons Reading, 1 Year Progression and Flower Essence Therapy. We have all lived before, that is why I offer several different Readings related to past lives; please follow these links to read more about them! Past Life Lessons Reading, Past Life Regression, Life Purpose Reading and Relationship Purpose Reading. Please scroll down these two pages to see the many famous people who believed in Reincarnation...there are some amazing quotes about it! Also, there are some wonderful books, I enjoyed reading, that you might enjoy, too! "I just wanted to say thank you again for the reading. I have listened to the recordings and took notes in my notebook and I read them frequently. I call it the Encyclopedia of me. It is great to finally have explanations in my life. It really was a gift. I have always had questions about my childhood experiences, the choices I have made and how they have affected who I am today. After having the Natal/Past Life Lessons Reading, so much came to light. Lydia your constant positive attitude showed me that even though negative things have happened in my life, the only one with the power to change anything lies within ME. Thank you Lydia, for your positive influence and helping me feel more comfortable with myself than I have ever felt before." such heartfelt time and attention into helping me. It means a lot." Holly R., Silver Spring, MD regarding Natal/Past Life Lessons Reading. "I think you are a wonderful, caring person and I feel fortunate to have found you. The reading was wonderfully enlightening and certainly right on target. Even though the things we talked about were difficult, I am excited about the process and believe it will help. I can't say I understand everything, but it feels right. I trust you! Talk to you soon." Iris B., Long Island, NY regarding Natal/Past Life Lessons Reading. Your birth chart is full of interesting information about you! 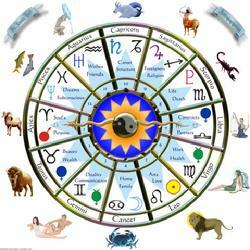 This is an exciting reading whether you are a student of Astrology or not. I will explain in simple terms the meaning of your birth chart and how it impacts your personality. I will offer many insights and give advice when needed to make life easier! PERSONALITY INTERPRETATION READING: In this reading/class I will interpret your birth chart. I will explain the houses and the planets in the houses as well as their signs and their effect on you. We will start at your ascendant or first house, explore the house cusp meaning and evaluate any planets in the houses and what they mean. Than we will move onto the second house and continue all the way to the twelfth and final house. I will synthesize many personality traits both positive and negative. I will explain how the planets in your houses influence your personality and your behavior. Throughout your reading I will give positive advice so you can make improvements in any area you are dissatisfied with. Your birth chart analysis will give you many clues into your beliefs and behaviors (without the childhood interpretation of the Natal/Childhood Reading). This in-depth reading/class brings many traits to the conscious level so that you can achieve clarity and gain a perspective in one session about your personality! PERSONALITY ASPECTS READING: In this reading/class I will interpret your birth chart through your planetary aspects (without the childhood interpretation of the Natal/Childhood Reading). I will focus on the major aspects between your planets such as conjunctions, sextiles, squares, trines, oppositions and inconjunct aspects as it relates to your birth chart. Together we will explore ways to enhance the positives and ways to work through the negatives. This can be an enlightening reading/class which helps you achieve a deeper understanding of what comes easily to you and what is difficult to achieve. Throughout this reading I will offer advice about how to view these aspects so you can gain perspective and actual ways to change your behavior and thinking. The featured image at the top of this webpage is of the Sun. Your Sun sign is your sense of self, the impulse to be you, in all its plentiful and exciting dimensions. When you are truly connected to your Sun, you are exuberant about who you are, you are in touch with your purpose and direction and you can see your assets, talents and potential and you feel motivated. To learn more contact me for a mini-Sun reading! "The puzzling thing is that there is really a curious coincidence between astrological and psychological facts, so that one can isolate time from the characteristics of an individual, and also, one can deduce characteristics from a certain time...."
I don't need to meet you to give you a great reading! All readings and sessions are recorded (except Quick Answer Readings/Emails and Flower Essence Sessions); and may be experienced in person, by phone, on Skype, or can be recorded and will be emailed. All information shared is confidential, and never stored on my computer! Find your place under the stars!